Home » Testimonial » Jackson & Associates Ltd.
“As a real estate appraiser, staying on top of recent developments within the various markets we serve is critically important. 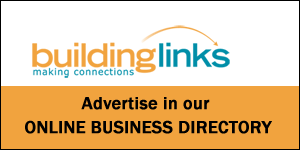 Building Links provides timely and accurate information on recent real estate transactions and new construction projects underway throughout the region. Steve Blacklock, BBA, AACI, P.App. Website: Jackson & Associates Ltd.